The next-generation S60 is expected to roll out next year as a 2010 model. So if you appreciate Volvo’s safety emphasis but are disappointed with the S60’s lack of the latest technology, just hang on a few more months. 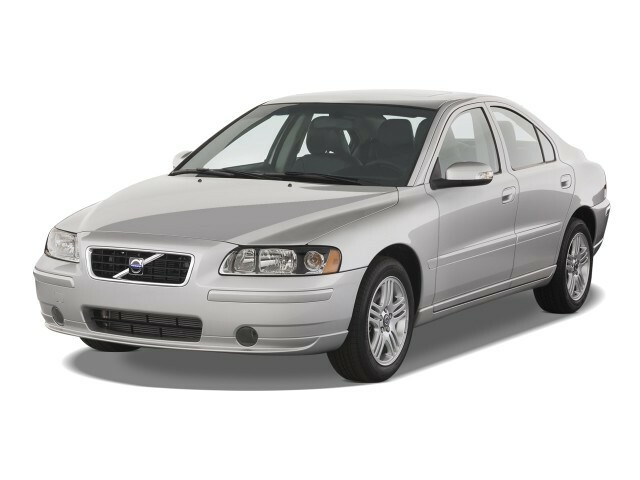 The 2009 Volvo S60 isn’t a sport sedan, but it is a comfortable, safe, all-weather mid-size car with an eager powertrain. TheCarConnection.com's editors drove the new Volvo S60 in order to give you an expert opinion in this Bottom Line. 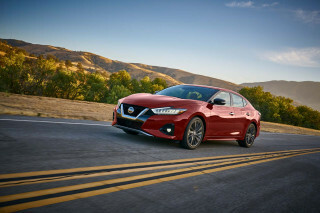 TheCarConnection.com has also highlighted some of the most useful observations from other sources in the Full Review to help you make the best purchase decision. 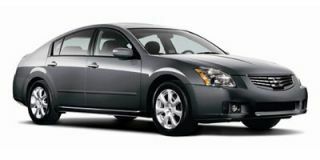 The 2009 Volvo S60 is Volvo’s mid-size sedan, offered in comfort-oriented 2.5T or sporty T5 models. The S60 continues unchanged with its swoopy, aerodynamic style that was truly trend setting when first introduced for 2001; the S60 got a minor face-lift in 2007, but you can barely tell the front-end differences from a distance, and the S60’s design, inside and out, is now looking quite dated. The Advanced Package adds several features to the S60 T5, including inscription leather seating, a premium sound system with Dolby ProLogic II Surround, a six-disc CD changer, brushed-aluminum door handles, rear park assist, and Dual Xenon Gas Discharge Headlights with Active Bending Light (ABL) among other items. 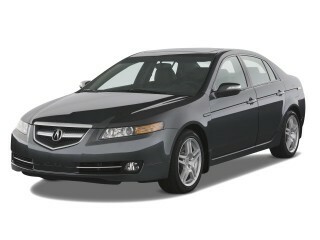 Of course, 2009 retail prices for all three models reflect the increase in standard equipment. A turbocharged 2.5-liter five-cylinder engine with 208 horsepower moves the 2.5T, while a 257-hp, 2.4-liter five propels the T5—the latter's greater force due mostly to a higher-boost turbo. Both engines produce brisk acceleration and responsive performance with the five-speed automatic transmission, and despite the power differences, the two models feel quite similar off the line at higher speeds or when passing. All 2009 Volvo S60 models have a smooth ride and responsive steering, but they fall short around sharp corners, especially on rough surfaces. As with other members of the Volvo lineup, shoppers are likely to find the standard suspension more agreeable than that of the T5, which brings a rougher ride but not much more composure in corners. Torque steer—a pull to the side under hard acceleration—can be an issue on the front-wheel-drive 2.5T, though the AWD model remedies that. The cabin in the 2009 Volvo S60 is especially well isolated from road and wind noise; it's a very pleasant place to be. The excellent front seats in the S60 are some of the best contoured and most supportive in their class, but in back, it’s a different story; rear passengers will find it short in legroom and possibly headroom, due to the sloped roofline. For 2009, the Swedish auto manufacturer extensively upgrades the list of standard equipment, with many features that were previously options, but prices rise appreciably—a surprising strategy for a model that’s due to be replaced next year. 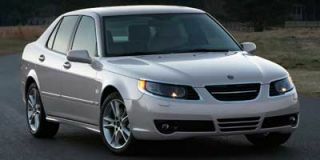 The 2009 S60 2.5T front-wheel-drive and 2.5T AWD models now come standard with items that used to be a part of the Premium Package, such as sport leather seating surfaces, a power glass sunroof, a power passenger seat, genuine wood inlays, rear shelf speakers, and auto-dimming mirror with compass. The five-speed automatic transmission now has the Geartronic manual shift function. The Climate Package with heated seats, headlight washers, and rain-sensing windshield wipers, as well as the Advanced Package with a premium sound system, 17-inch Talos alloy wheels, speed-sensitive steering, and aluminum inlays, are still available for both models. The 2009 Volvo S60 attains four-star ratings (out of five stars) for frontal impact and five stars for side impact, along with top "good" ratings for frontal and rear impact but "acceptable" ratings for side impact from the insurance-affiliated IIHS. The S60 includes a list of safety features comparable to that of its rivals, including stability control, anti-lock brakes, front side airbags, front-seat whiplash protection, and side-curtain bags. The 2009 Volvo S60 is aging but still turns heads. If you are one of the BMW faithful, the 2009 Volvo S60’s peaky turbo power, lack of manual transmissions, and front-wheel-drive architecture isn’t going to sway you. According to reviews from around the Web, the 2009 Volvo S60 falls short in smooth, rapid performance, though it does offer all-wheel drive. Car and Driver says the Haldex all-wheel-drive system on the 2.5T AWD is a boon to those driving in inclement climes—“formidable in the snow” or “snow-covered gravel and ice surfaces,” declares the reviewer. The 2009 Volvo S60 2.5T and 2.5T AWD come standard with a light-pressure, turbocharged inline five-cylinder engine producing 208 horsepower and 236 pound-feet of torque. Standard on the T5 and optional on the two others is the high-pressure inline-five with 257 horsepower and 258 pound-feet of torque. According to Car and Driver, the torque curve for both the base and higher-output varieties are pretty flat, and the horsepower figures are impressive, so acceleration remains class competitive, with a T5 yielding 0-60 times of 6.5 seconds. 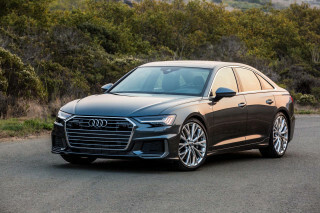 “But the delivery isn't as linear as it is in a naturally aspirated Audi or BMW six,” they continue, hurting the S60 in the luxury class in which it plays. Others aren’t quite as critical. “The 2.5T engine provides good acceleration and plenty of passing power,” finds Kelley Blue Book, who also feels that it works “well with the Geartronic automatic transmission,” the only transmission offered, having lost its manual option for the ’08 model year. Says Car and Driver, “refined isn't its middle name,” reminding us “this 2.5 is a transversely mounted in-line five, an inherently uncivilized layout.” The Auto Channel comments on the engine’s “unique five-cylinder howl” above 5,000 rpm. Incredibly comfortable front seats make the 2009 Volvo S60’s interior one of the best, even if it’s not fresh. Safety is one area where the 2009 Volvo S60 does not fall behind the competition. Though the S60 is not as feature-rich as Volvo’s newer S80 and V70, the 2009 Volvo S60 has most of the same safety-feature content. The Insurance Institute for Highway Safety (IIHS) testing yielded the top “good” rating for the S60 overall and an “acceptable” rating for side-impact testing. In NHTSA’s frontal impact crash testing, the S60 earned four out of five stars for both driver and front passenger. For side-impact crash protection, it earned five out of five stars for both front and rear. The 2009 S60 has a “full complement of standard safety equipment,” says The Auto Channel, including three-point belts with pyrotechnic pretensioners, whiplash-protection seats, front seat side impact airbags, front-to-rear side curtain airbags, anti-lock brakes, stability control, and Volvo’s OnCall telematics. The 2009 Volvo S60 gets more standard features this year, but they come at a price. For 2009, many features of the Premium Package and Advanced Package are incorporated into the standard S60 2.5T and 2.5T AWD, and features from the T5’s Advance Package are made standard. The 2009 S60 2.5T front-wheel-drive and 2.5T AWD models now come standard with items such as sport leather seating surfaces, a power glass sunroof, a power passenger seat, genuine wood inlays, rear shelf speakers, and auto-dimming mirror with compass. Also, the five-speed automatic transmission now has the Geartronic manual shift function. To the S60 T5 Volvo adds inscription leather seating, a premium sound system with Dolby ProLogic II Surround, a six-disc CD changer, brushed-aluminum door handles, rear park assist, and Dual Xenon Gas Discharge Headlights with Active Bending Light (ABL), among other items. 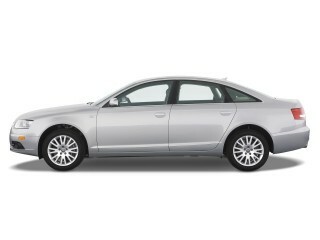 2009 retail prices for the S60 get a big mandatory boost to match the new equipment list. For many drivers and reviewers, the 2009 Volvo S60 offers a gracious selection of technology and features. One of the most unique features of the S60 is its optional navigation system. Rather than integrating the nav screen with the radio display or computer/iDrive display a la BMW, Volvo tucks the screen neatly away inside the dash when not in use. Of this feature, ConsumerGuide appreciates that this system “doesn't absorb audio or climate functions”; ConsumerGuide also deems the toggle buttons “inaccessible to the front passenger” and the “dashtop screen…hard to read in daylight.” Says Car and Driver, “most drivers had no trouble using the optional navigation system…it was easy to keep a peripheral eye on it while driving.” Toggle control buttons for the system are located on the back of the steering wheel, earning praise for their ease of use but jeers for lack of redundant controls for the co-pilot in the passenger seat. Edmunds remarks that the S60’s notable optional features “mostly come bundled in packages,” and “include an excellent 13-speaker Dolby Pro Logic surround sound system with an in-dash CD changer, a navigation system, Bluetooth, Sirius Satellite Radio, heated front seats, rain-sensing wipers and an interior air quality system”—not to mention a power glass sunroof, active bi-xenon headlamps with washers, rain-sensing wipers, and custom alloy wheels. The Climate Package with heated seats, headlight washers, and rain-sensing windshield wipers, as well as the Advanced Package with a premium sound system, 17-inch Talos alloy wheels, speed-sensitive steering, and aluminum inlays, are still available for both the 2009 S60 2.5T and 2.5T AWD.